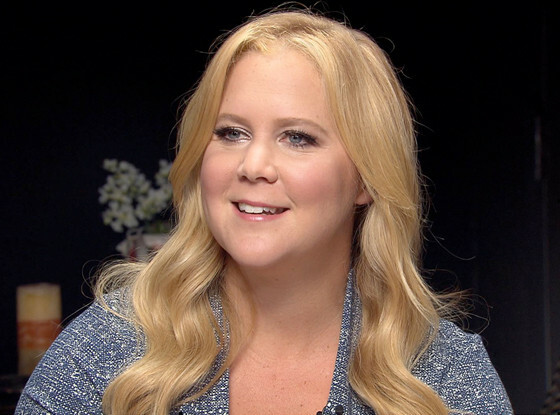 Where did Amy Schumer get her sense of humor? "I think it was the divorce and my dad getting sick that were the wonderful gifts that made me the strong angel you see here today," the 34-year-old writer and star of Universal Pictures' Trainwreck laughingly tells Mo Rocca in an interview for CBS Sunday Morning With Charles Osgood, airing July 5. The comedienne was joking, sure, but she wasn't exactly lying. Born in New York City, Schumer's family was financially secure for years. But when she was 12 years old, her father was diagnosed with multiple sclerosis. After going bankrupt, the family moved to Long Island, and later, her parents got divorced. How did the TV star cope? "I love to laugh. I seek laughter all the time. I think that's something that also comes with having a sick parent is you don't know what's going to happen and so I'll be like, 'I'm psyched my legs still work,'" Schumer tells Rocca. "And I want to, like, experience all I can and make as many memories as I can." That said, Schumer's father is never far from her thoughts. When it comes to dating, she admits, "It affects your relationships for sure. Everybody I meet and I'm like, 'Yeah, he's cool, but would, like, would I push him in a wheelchair? You know, would I want him to push me?' So, yeah, I go there pretty quick. Other people are like, 'Should we go to Hawaii on vacation?' I'm like, 'Do I want you to change my colostomy bag?' It just changes your perspective." This isn't the first time Schumer has opened up about her father's diagnosis. Speaking to Morning Edition's David Greene for NPR in 2013, Schumer said, "It's the most painful thing in the world to just watch this person that you love ultimately just digress and kind of decompose. And it's too heavy and you have to find a way to laugh at it. I will on stage go to a very dark place and make light of things that are painful. And it makes me feel better to hear about other people's struggles, so I like to share mine." Schumer said her father is "just as hilarious" as he ever was. He lives in an assisted facility, she added, "and when I go see him, it's not heavy. He's happy." The Inside Amy Schumer star said her dad is "so proud" of her success, saying, "They got Comedy Central for him at his hospital so they can watch my show. And the doctors and nurses know who I am now. Because I think, before, the people who were around them, he kind of didn't know how well it was going for me. He just kind of...I think he thought I was like a clown...I think he thought I did birthday parties."